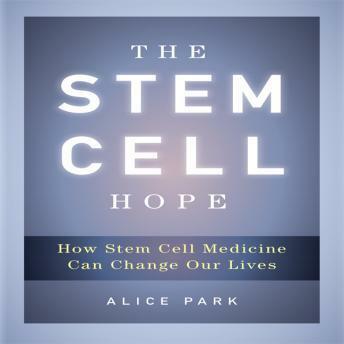 Alice Park takes us from stem cell's controversial beginnings to the recent electrifying promise of being able to create the versatile cells without using embryos at all. She shows us how stem cells give researchers an unprecedented ability to study disease while giving patients the promise of replacing diseased cells with healthy new ones. And she profiles the scientists and leaders-many with their own compelling stories-who have fueled the quest and will continue to shape the field in years to come. Very informative but it should be summarized for the layman.